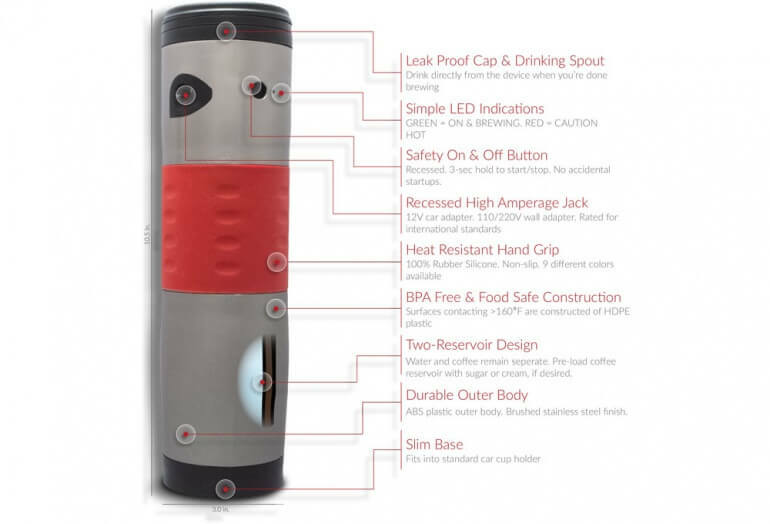 The MoJoe is one of the few portable coffee makers that heats and brews water right in the unit. What makes the unit unique is the battery powered water heater. The MoJoe gets as close as possible to a true all-in-one brewer. The unit uses patented VacDrip brewing technology to brew coffee. The coffee maker sits at 11 inches tall and contains the entire brewing system. All you have to do is add water and ground coffee and press brew. The water chamber and the brewed coffee are separate 8 oz chambers. This means you can add cream and sugar to the brewing chamber, coffee grounds to the basket, and water to the chamber without brewing. Later when you are ready to brew the you simply brew and enjoy! Remove the water plug and filter. Pour water into the chamber and re-seal. Fill coffee grounds in basket and secure under siphon hole. Plug in the power and press brew. Coffee takes 6-10 minutes to brew depending on the original water temperature. We really like this unit for the built in water heater. 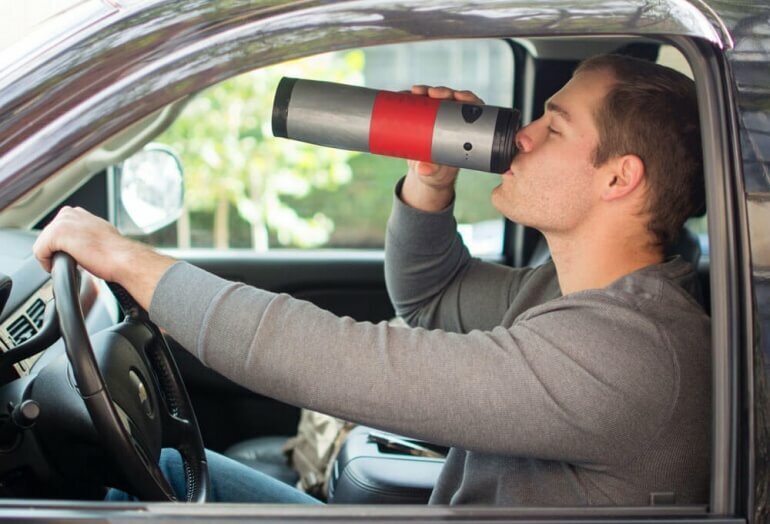 What takes it a step above a product like the Handpresso Auto is the ability to brew via battery. This makes the coffee maker truly unique and worth considering. The only thing it is missing is a built-in grinder - but honestly we have no idea how that would fit into this coffee maker without increasing the size. This project was funded via Kickstarter and can now be pre-ordered directly from the MoJoe website. Power: 12v Car Adapter (included). 110v/220v wall adapter and 7v rechargable battery sold separately.